The Kansas City Royals selected Elizabethtown native Nathan Adcock with the fifth pick in the MLB portion of the Rule 5 draft this morning. The Royals must keep Adcock on the 25-man roster all season or return him to the Pittsburgh Pirates, the organization they selected him from. 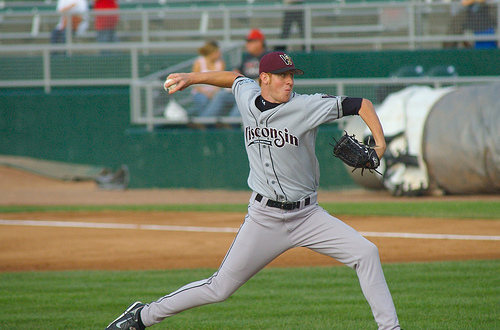 Adcock, who was the fifth-round pick of the Seattle Mariners in the 2006 draft out of North Hardin High School, was traded to Pittsburgh in July of 2009 in a deal that sent Jack Wilson to Seattle. “If he doesn’t win a job as a starter, he could fit into the bullpen because he throws strikes. But he’s not the typical power reliever that you see out of the bullpen,” Picollo said.